Come join us in celebrating the New Year, Cretan Style! 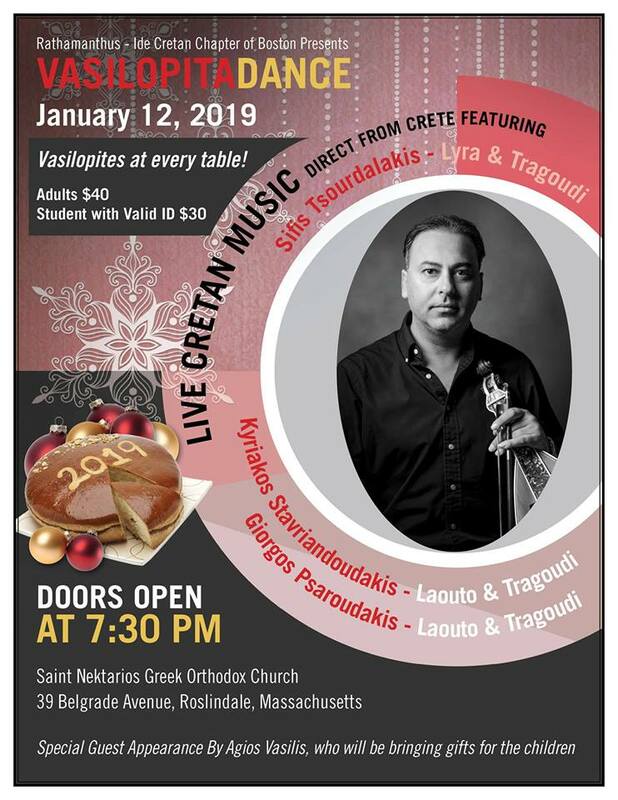 The Rathamanthus Ide Chapter of Boston invite you to our Vasilopita dance featuring wonderful food live Cretan music & Cretan dance performances!!! Special appearance by Agio Vasili!